We get payroll. We also understand people and love being a trusted part of our clients’ teams. Personalized payroll services to help your business grow. Payco Payroll Solutions offers affordable, practical and customized payroll and human resource management for small to mid-size businesses, churches and municipalities. Affordable payroll and HR support for churches and non-profit ministries. 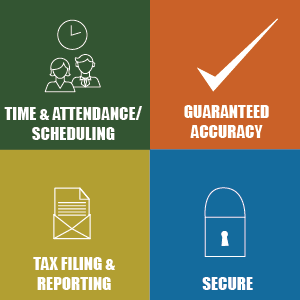 From background checks to payroll processing and tax filing, we help churches reduce the time spend on paperwork so they can fulfill their mission. Human Capital Management for Municipalities. Payco Payroll Solutions is proud to be the choice of many municipalities for their payroll processing and HR support. Restaurants have complex laws governing wages and tips. We reduce the challenges and the risk of compliance penalties. Payco Payroll Solutions is proud to partner with small business owners, churches and municipalities to provide payroll services and human capital management. Our products are affordable, easy to use and efficient; but our real difference is our service. We pride ourselves in the personalized attention we give to each client’s needs. We work with small business owners, providing comprehensive payroll support including benefit accrual, direct deposits and paychecks, payroll tax deposits and reporting services. We also work with churches of every denomination and know the ins and outs of ministry/nonprofit payroll and tax processing. We have long-term relationships with clients in local governments and municipalities, helping them easily manage personnel and payroll data and processes. SIMPLE AND STRAIGHTFORWARD PAYROLL PROCESSING, TAX PAYMENTS AND REPORTING. 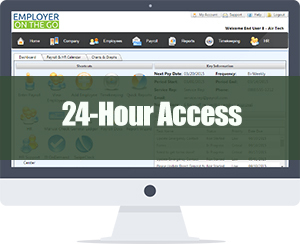 Partner with Payco Payroll Solutions today. We have used PayCo since 2011 and have always found them to be very dedicated and dependable. They are large enough to handle our 84 employees, but small enough so that when I call I get a person who is familiar with my account. I would recommend PayCo without reservation. -Jeff Ferguson, Piedmont Metal Processing, Inc.